A late addition to a newly approved residential development that could add more than 1,000 units in Hoffman Estates still hasn’t changed the minds of officials at Barrington School District 220. The Barrington-based district has opposed the development since the project developer, 5a7 LLC in Barrington, proposed building residences on 185 acres near routes 59 and 72, arguing the massive housing project would overcrowd certain District 220 schools near the site. Hoffman Estates officials decided to delay a vote on the proposal earlier this spring after District 220 and other area taxing bodies resoundingly rejected a proposed tax-increment-financing district for the project but they forged ahead Monday, agreeing unanimously to annex the proposed acreage into Hoffman Estates. Village officials also approved a late addition to the proposal meant to address concerns raised by District 220 and nearby Algonquin-based School District 300, including a 5.5-acre parcel that would be developed into a new school building. “And the housing development does not fit with the character of area of routes 52 and 72, especially with high-rise buildings going in,” he said. To read the full article in the Barrington Courier-Review, click here. 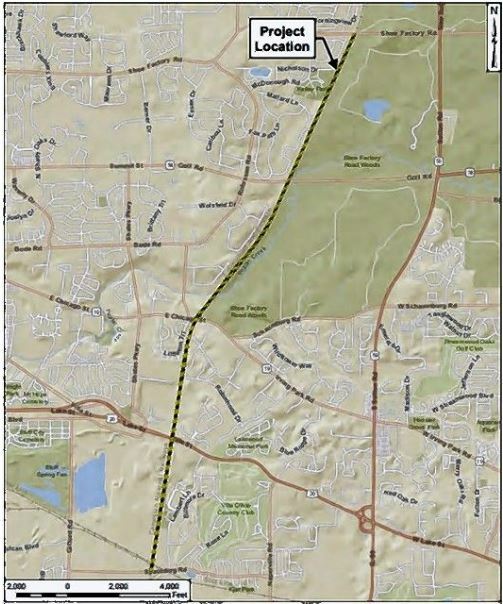 Hoffman Estates trustees on Monday voted to continue their discussion of a controversial annexation and development agreement for 145 acres previously disconnected from Barrington Hills until next Monday, April 24. Several village board members, including Mayor Bill McLeod, cited the speed at which they and affected members of the community had had to absorb a massive amount of detailed information over the weekend. Though the vote was unanimous, Trustee Gary Pilafas said he didn’t believe the delay would benefit him. He added that it was his duty to get through the 390 pages of documents over the holiday weekend, and that he recognized the developer’s plans as consistent with previous approvals granted to other parts of the same site at routes 59 and 72 back in 2004. The link to the complete Daily Herald article is here.